Career opportunities available to graduates of neurology residency programs continue to grow. In contrast to traditional neurology subspecialty practice that is outpatient-centered and disease specific, neurology hospitalists or “neurohospitalists” specialize in the care of patients admitted to the hospital with a wide array of nervous system disorders. 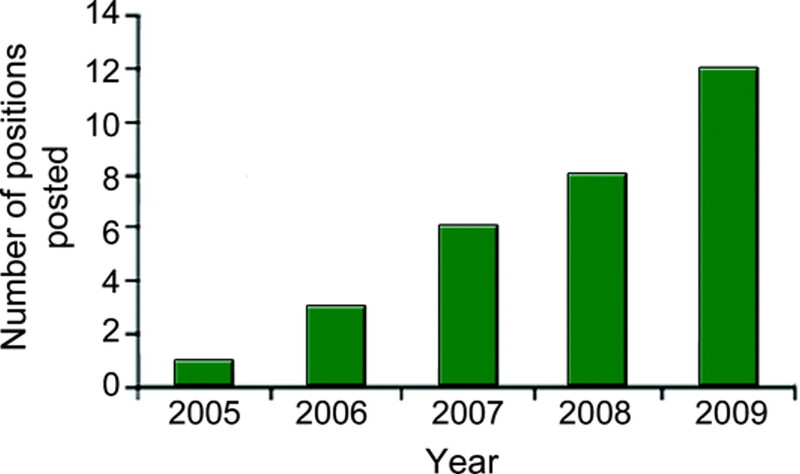 This subspecialty has emerged in parallel with mounting pressures on office-based neurologists to see larger outpatient volumes and the increasing complexity of inpatient neurologic care.1,2 Neurohospitalists are uniquely positioned to provide high-quality care at a time when many neurologists have limited or abandoned emergency coverage because of reduced reimbursement and increased litigation risk.3–5 The purpose of this article is to define what neurohospitalists do as professionals, discuss training and employment trends, and provide a future outlook on neurohospitalist practice. Neurohospitalists are best defined as “site-based” subspecialists dedicated to providing and improving inpatient neurologic care. In contrast to the traditional model of an office-based neurologist concurrently delivering inpatient care, the neurohospitalist is free of outpatient responsibility and provides on-site availability for urgent evaluations and administration of time-sensitive therapies.1 Neurohospitalists evaluate and treat a multitude of conditions including altered mental status, acute stroke, seizure disorders, nervous system cancer, headaches, and neuromuscular respiratory failure. Neurohospitalists may also diagnose and comanage patients with critical illness polyneuropathy/myopathy, coma, complications of solid-organ transplantation, or increased intracranial pressure. The scope of neurohospitalist practice encompasses the entire spectrum of inpatient care including prevention and management of medical, surgical, and psychiatric complications of neurologic disease. Effective communication with outpatient and postacute care providers to ensure smooth and effective transitions of care is an additional responsibility of the neurohospitalist. Experience and competency with end-of-life issues is requisite as some acute and progressive neurologic disorders culminate with the need to provide palliative care. Commitment to improving inpatient systems of care, responsible utilization of resources, and implementing evidence-based practice in the inpatient setting are likely to become defining characteristics of the neurohospitalist. Neurohospitalists have been successfully integrated into several practice settings. A neurohospitalist may complement a private practice group by providing hospital coverage during the day while allowing office-based neurologists uninterrupted time to see patients and perform office-based procedures. The availability of the neurohospitalist minimizes disruptions to the office schedule and likely improves both patient and physician satisfaction. In some models, night and weekend coverage is equitably shared among the group. In larger practices, continuous hospital coverage is provided by a core group of neurohospitalists that complement the clinic practice. Some neurohospitalists are on call for a 24-hour cycle every few days, while others cover up to a week straight (24/7) with resident, fellow, or mid-level provider support. Neurohospitalists may also provide value in academic institutions where limitations on resident work hours have reduced house officer availability for continuous clinical coverage. A definitive paradigm for neurohospitalist training has yet to be established. A limited number of neurohospitalist fellowship positions7,8 are offered in the United States, but no mechanism for accreditation or curriculum standardization exists. Although many clinical skills fundamental to neurohospitalist practice are acquired during neurology residency, we feel many aspects of inpatient care are underemphasized in traditional training programs. Neurohospitalist fellowships may afford trainees the opportunity to develop additional mentored clinical experience with acute neurologic emergencies, proficiency in palliative care and end-of-life issues, and skills with hospital-based procedures such as transcranial Doppler and electroencephalography. Neurohospitalist fellowships can distinguish themselves from other hospital-based subspecialties (i.e., vascular neurology/neurointensive care) by providing trainee exposure to critical elements of efficient inpatient care such as validated approaches to quality improvement, approaches to decreasing length of stay, and outcomes-based research methods. The appearance of neurohospitalist positions in the American Academy of Neurology (AAN)'s classified employment listings service, Dendrite™, suggests that the number of neurohospitalist jobs is growing (figure). Neurohospitalist positions are advertised and filled through many mechanisms including e-mails, interpersonal communication among colleagues, and head-hunters. The Residents and Fellows Career Forum held during the AAN Annual Meeting provides an opportunity to meet with prospective employers from both academic and private practice as well as learn about potential positions from head-hunters. Opportunities for dialogue and exchange of ideas among neurohospitalists are emerging. Electronic discussion among colleagues has been facilitated through an AAN sponsored e-mail listserv (hosp@ lists.aan.com). Initially, the neurohospitalist listserv began with 50 members and grew to more than 250 members in 1 year. The Neurohospitalist Section of the AAN was recently approved as the newest subspecialty section. The first meeting and officer election was held at the 2009 AAN Annual Meeting in Seattle. These recent developments are indicative of the momentum behind this field. Neurohospitalist practice offers a gratifying and exciting career opportunity for those interested in delivering and improving the full continuum of inpatient neurologic care, leading evidence-based quality improvement initiatives, and promoting responsible stewardship of diagnostic and therapeutic resources in our evolving health care systems. Freeman WD, Gronseth G, Eidelman BH. Invited article: is it time for neurohospitalists? Neurology 2008;70:1282–1288. Josephson SA, Engstrom JW, Wachter RM. Neurohospitalists: an emerging model for inpatient neurological care. Ann Neurol 2008;63:135–140. Avitzur O. As public expectation for tPA grows, so too do lawsuits: how neurologists can reduce malpractice risks. Neurol Today 2006;6:31–32. Avitzur O. Stipends for stroke call create new pressures, demands on neurologists. Neurol Today 2006;6:6–7. Avitzur O. Neurohospitalists: a new term for a new breed of neurologist. Neurol Today 2005;5:44–45. Likosky D, Restrepo L, Shulman S, Freeman WD. Current state of neurohospitalist practice. Neurology 2009;72(suppl 3):A453. Desbiens R, Elleker MG, Goldsand G, et al. Current educational issues in the clinical neurosciences. Can J Neurol Sci 2001;28:299–308. Naley M, Elkind MS. Outpatient training in neurology: history and future challenges. Neurology 2006;66:E1–E6. Likosky DJ, Aman AN. Who will care for our hospitalized patients? Stroke 2005;36:1113.